Given the fact that online casinos are becoming more popular while bankrupted casinos are a common sight, it is pretty clear why Nevada and New Jersey are both pushing for quick online gaming regulations that would allow for operators to go on the internet. The numbers for Atlantic City casinos showed another decrease in January 2013 compared to last year which shows that US citizens are not playing casino games as much as they used to. Just a week ago, William Horne introduced a new amendment that would allow interstate compacts with other states such as New Jersey and Delaware. The bill also increases the fees for the first two years from $500,000 to $1 million as well as doubling the renewal fee to $500,000. More importantly, the new bill has a “bad actors” clause which will ban any companies that provided online offers after December 31, 2006 and this includes online poker giant PokerStars. In other words, PokerStars will not be available in Nevada for the next five years. The bill passed this week at an incredible speed after it was brought through the state Assembly and the state Senate Judiciary committee at the same time. It then landed in front of Gov. Brian Sandoval who gave it his signature and turned it into law later on Thursday. The reason for everything going so fast is that Nevada was falling behind New Jersey and it needed to keep up with the online gaming changes in the United States. Nevada is now the first state to officially approve intrastate gambling. 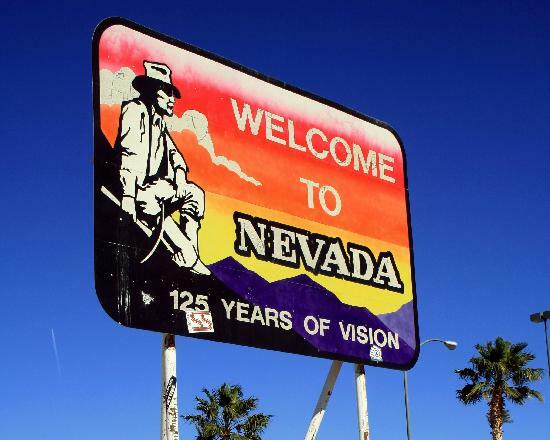 With a federal bill not looking any better than it did last year, Nevada didn’t have a choice than to move forward and to set the building blocks for intrastate online gambling. Although the regulations now available in Nevada are quite a bit different than the ones expected to be made available in New Jersey, the two states will be able to share some of the products; something which will benefit Nevada quite a lot given the large population of the state of New Jersey. After Gov. Chris Christie conditionally vetoed the online gambling bill for New Jersey in recent casino news, operators haven’t been wasting any time in making the needed amendments. The date is set for February 26 for the state Assembly to meet and take a vote on the new bill which will meet the conditions imposed by Christie. The state Senate will follow shortly and it shouldn’t take long after that for the bill to be turned into law by the Governor who declared that he plans on signing it as soon as he gets it, if all the conditions are met. One of the differences from the Nevada iGaming bill is that licensed operators will be able to offer a variety of casino games and not just online poker. The “bad actors” language has also been eliminated from the New Jersey bill so PokerStars will be able to join the market and the company is already in the process of buying an Atlantic City casino. Although Delaware had a head start with its online gambling legislation which was passed last summer, the state focused more on statewide Keno offers and football betting in sports venues. This moved the target for online gambling to late September 2013. The best chance that Delaware now has is to sign partnerships for online poker with other jurisdictions given the small population of the state. The answer might be found in Europe if things don’t go so well with Nevada and New Jersey.